Join Lisa LeRose as she demonstrates how subtle energy systems interact and communicate on a functional level in the holographic field. The notion that there is a subtle energy field around the human body that exists beyond normal human perception can be found in many ancient cultures. What is this undiscovered energy? Many describe it as a field that has a higher frequency or vibration than normal physical matter, where a holographic universe exists, where in fact our holographic body exists. The idea that subtler levels of reality can be accessed is not new, the ancient Chinese art of acupuncture is based on the idea that every organ and bone in the body is connected by specific points on the body’s surface. By activating these acupuncture points, it is believed that disease and imbalances affecting the parts of the body connected to the points can be alleviated and even cured. Through the study of Quantum Physics we now know that these same points can be accessed through the holographic field. In the holographic model, the body assimilates information in a continuous coding and re-encoding process, the body in essence learns the language of change, which allows for the limitless possibilities. Join Lisa LeRose as she demonstrates how the subtle energy systems interact and communicate on a functional level in the holographic field. This remarkable new way of looking at the universe may explain many of the mysterious phenomena such as intuition, telepathy, spontaneous remissions, and even mystical experiences and miraculous healing. We invite you to take a peek into the language and the life of your unseen body and discover your own extraordinary healing powers in the holographic universe. Lisa LeRose is a natural health advocate, wellness practitioner, educator, counselor, talk show host, and eternal optimist. She believes that good health is our body’s natural state and that if you give your body the right environment and support . . . it can heal itself. Holding this belief, she provides compassionate support to those seeking balance. She is a graduate of Pennsylvania State University and received her nutritional training from the Institute for Integrative Nutrition. Lisa has studied with some of the most progressive minds in the holistic healing community. She is a practitioner of energy medicine and energy psychology and incorporates the teachings of a wide variety of modalities. For over 8 years, she has been a student and advanced practitioner of Matrix Energetics, Holosynchronous Energy Technologies, and Mastering Energy Dynamics under Dr. Richard Barlett. She has also been trained in medical intuition by John White; in Lomi Lomi with Kahuna Harry Jim; studied energy medicine with Donna Eden and Dr. Gregory Nicosia; as well as Reconnective Healing with Dr. Eric Pearl and Theta Healing. 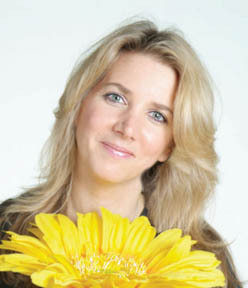 She is a practitioner of aromatherapy and has studied first-hand with Gary Young and Dr. David Hill. She works with both humans and animals to develop integrated lifestyle and holistic plans for whole body health and longevity. Lisa is a constant student of the Universe. Lisa is currently working on a book in order to share, with an open heart, what she has learned.